Insects have the right idea when it comes to traffic. If two groups of bugs happen to cross paths, the larger group goes first and the smaller group waits patiently until the way is clear. This fascinating example of nature’s wisdom inspired Carnegie Mellon University telecommunications researcher Ozan Tonguz to explore whether the same concept could be useful for human vehicular traffic. 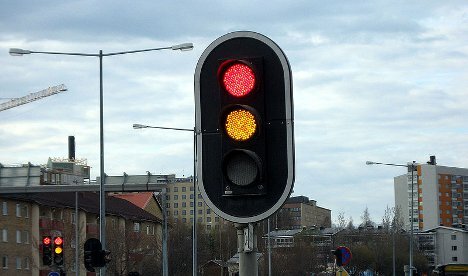 His concept, which has been in development since 2009, is called Virtual Traffic Lights. In theory, it would involve a vehicle-to-vehicle wireless network that would connect cars to one another via short-range communication. As cars approach an intersection, the system would compare information on the size and direction of each group. 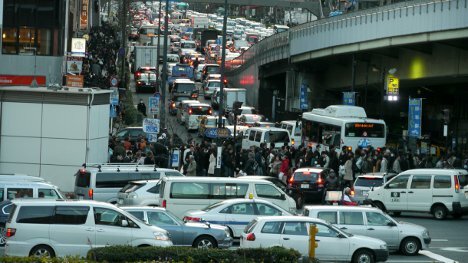 Cars in the largest group would be given an in-car green light and cars in other groups would receive in-car red lights. After the larger group has gone, the next-largest group would get a green light and so on. According to initial simulations, the system could reduce rush hour traffic drive times by 40 to 60 percent. Future research and refinement will undoubtedly put to rest any worries about drivers in smaller groups waiting excessive amounts of time for their green lights. The project has already attracted $2 million in funding as well as the interest of the US National Highway and Traffic Safety Administration.